Our beloved teacher and founder of the Bodhi Path Organization, Künzig Shamar Rinpoche, entered parinirvana here at his European seat on June 11 in 2014. 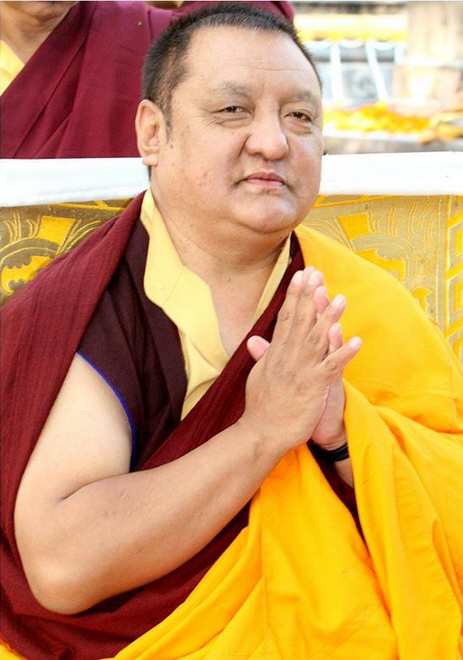 We are very happy that Lama Yeshe Sangmo and other ordained Sangha members of the Dharma center Möhra and the monastery in Laussedat, France, will come here for the fifth time already to provide pujas in order to honor and remember Shamar Rinpoche. During these days, the practice of Gyalwa Gyamtso, the red Chenrezi, will be done. Attending guests could do the (normal) Chenrezi practice during this time, recite the mantra OM MANI PEME HUNG or simply train in calm abiding meditation. Everybody is most welcome to join. Times: Sunday and Monday from 10am-12.30pm and from 3pm to about 5pm, Mahakala practice included. (These first two days take place parallel to Jigme Rinpoche’s course!) Tuesday from 9.30am-12.30pm and from 3pm to about 5.30pm, followed by Tsok. The participation is free, donations are welcome.